Software training (Prime, Georef, Merge). By instructor (recommended) or by self study. Instructions normally 3 days. We also offer to help you with your production lines. It’s our intention to get you productive before we leave after installation. 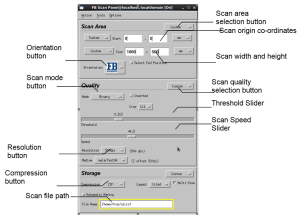 User interface of the scanner (same for all models). This is what the scanner training is all about.